Faraway Pillow: As American as Apple Pie? Barbeque is as American as Apple Pie or is it? While North Carolina, Texas, and Kansas City throw down as to whom has the juiciest, most flavorful, tender meat…we’re not the only ones who embrace cooking over smoke and fire- caveman style. Recently I had the pleasure of travelling to the legendary Arthur Bryant’s in Kansas City, considered by many to be the best barbeque in the United States. Founded in 1908, the unpretentious restaurant has, over the years, established the reputation for its full range of barbeque dishes and most specifically the burnt ends. These lovely, charred brisket tips are seasoned, sauced and served on a giant heaping sandwich. My experience at Arthur Bryant’s had me feeling pretty proud of us Americans. This was delicious, no-frills, real American cuisine. Every red blooded American is a BBQ aficionado- it’s in our genetic makeup. BBQ is synonymous with friends, summertime block parties, and beer. True enough, BBQ is an important part of our national heritage and cuisine. However, Americans don’t have a monopoly on the concept. People across the globe share a pride in their barbeque and as far as I’m concerned, the more the merrier. Barbeque is a much disputed term. While both methods are performed over fire or smoke- experts differentiate by length of cooking time and temperature of the heat. 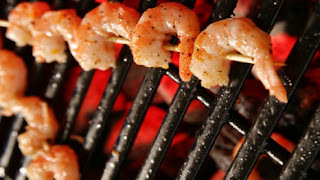 Generally barbeque is defined as low and slow and grilling as high and fast. For the sake of multicultural harmony let’s define barbeque as the social convention that brings carnivores together over the love of meat! 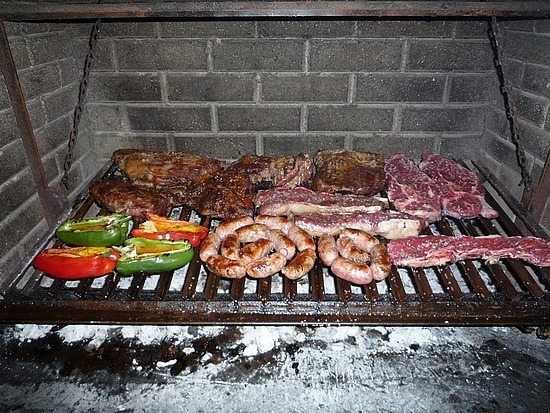 Argentina/Uruguay: BBQ in Argentina is called asado and cooked on a parilla, a grate that sits above burning coals. The legendary cuisine of once wide-ranging gauchos is just as popular today with ordinary folk. 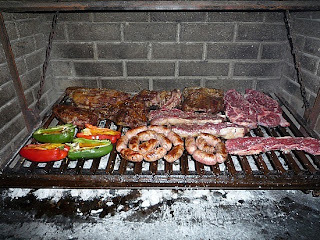 The typical asado meats include chorizos, ribs, beef, chicken, lamb, goatling. Brazil: Churrasco is similar to the technique used in Argentina and Uruguay. A Churrascaria is a restaurant that specializes in Churrasco and offers all you can eat portions of meats such as chicken heart, sausages, flank steak, and top sirloin. While the meat is center stage don't miss pao de qeijo- cheese buns that often accompany churrasco. South Africa: Barbeque in South Africa, Braai, was introduced by Dutch immigrants has become a tradition that has crossed racial lines in South Africa. Like most BBQ traditions, Braai is a social event that brings people together. The types of meats barbequed demonstrate the amalgamation of cultural influences- sausages, kebabs, and steak are standard fare. Australia: Ever heard the term ‘Barbie’? 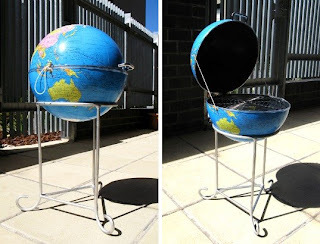 Aussies have coined the nickname and are enthusiastic about barbeque. Burgers and prawns are popular items cooked over Oz’s many grills. Burger on Bondi Beach anyone? Korean: Unlike many of its counterparts, Korean barbeque is served almost exclusively in a restaurant setting. Guests surround a small grill that is placed atop the table and served raw meet to grill that hisses in the middle of the table. 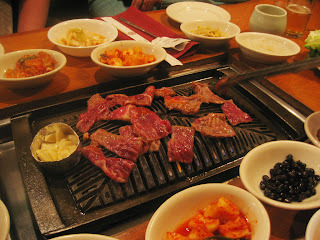 Garlic-soy marinated beef, pork and chicken is typical fare. India: Tandori is a barbeque-like cuisine served in southern, western and central Asia but most popularly in India. A Tandoor is a cylindrical-shaped clay oven that contains charcoal or wood fire. 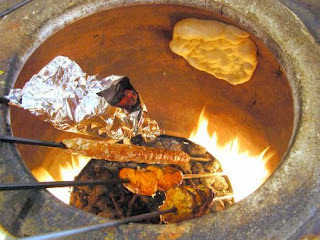 Meat on skewers and flatbread stuck to the side is exposed to radiant heat which cooks it. 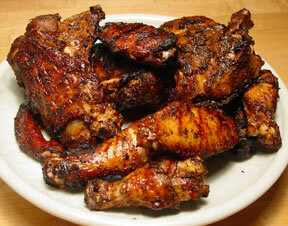 Caribbean: Jerk is Jamaica’s take on barbeque. Dry-rubbed pork, goat, chicken, lamb, beef, fish and shellfish are cooked in a steel drum jerk pan. The dry rub is generally very flavorful and typically contains Scotch Bonnet peppers, pimento, cayenne, cloves, cinnamon, scallions, nutmeg, thyme, garlic and salt. Surely Captain Kirk couldn’t have been talking about Earth because as the world turns- grills, pits, tandoors and steel drums sizzle with delectable meat. Go forth and enjoy the international offerings of meaty goodness. 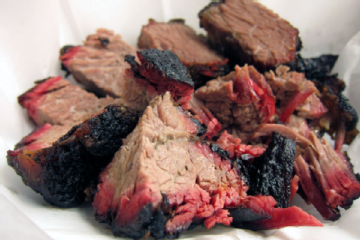 Have you had outstanding barbeque stateside or abroad? I’d love to hear from you! Where to go and what to eat?